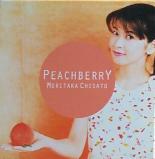 I first saw Chisato on the television during a holiday to Japan in 1993. I was so impressed that I bought the CD single along with "Ame" (The Rain - in English). Shortly afterwards my friends bought me her Album "Lucky Seven". That was how my collection of "things Moritaka" started.